Tea became popular and was used throughout medical history. Tea was used for everything from skin problems to joint pain to mood enhancers. It became the choice of treatment for the strange diseases and ailments that plagued citizens around the world. In many cases, the tea helped decrease one’s chances of contracting these diseases and lessened their suffering once the disease took hold of their lives. The use of tea expanded to include spiritual healing. One would drink the tea for the purpose of obtaining peace and serenity for the mind to balance it with the body and achieve oneness with nature as they saw it. Over the years, tea has found its way through many more countries and its uses became more apparent. It was used in the high societies as a sign of a distinguished person and people drank it for enjoyment. Medicinal purposes of tea have become more popular today. 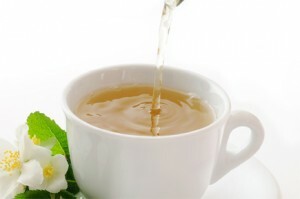 Tea has been linked to help decrease our chances for diseases and eliminate some problems like pain and bad breath. Tea has been around for many centuries and its medicinal purposes have withstood the test of time as they continue to be used today. This shows how insightful our ancestors were centuries ago by the fact that today’s researchers can use advanced science to test theories that have long prevailed.